Yesterdaymorning, I received a call from Alex. "Good morning, Summer. Somethingurgent now. Our event will advance to tomorrow evening. Can you please finishmy nailsticker today?" At the beginning, the reason why Alex choose to dobusiness with us was that we could make high quality HD printing nailstickers for him, and we have multiple printing machines which can finishhis urgent order in a short time. Now he need the delivery time to be advanced2 days. It means we must dispatched the nailstickers before Friday 6:00 pm. Otherwise the nailstickers couldn't catch tonight flight to Philippines in FedEx system. Howcan we finish this order in such a short time? It's really a great challenge!However we know that this event is very important to our client, so we shouldtry our best to help them. We adjust the production line and arrange moreworkers help to do packaging and inspection work. Even the lead time is tight,we must make sure to provide products to our clients without any defect.Finally we finish Alex's nailstickers on 5:30 pm. But it came with a bad news that the FedEx personcouldn't pick up the package on time. We couldn't wait any more. We decided tosend the package to the nearest FedEx station from airport by ourselves. I keptcontact with FedEx service person and got the lead time and location. 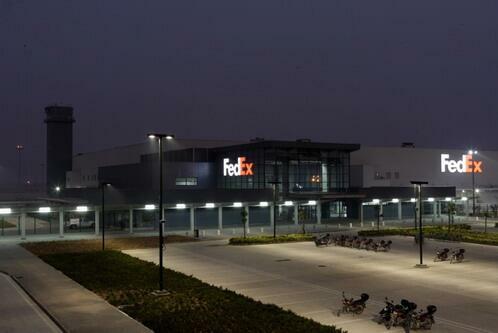 Fortunatelywe still have time to send Alex's nailsticker to the FedEx station that close to Guangzhou airport. I went withour driver together to send the goods and export files. Finally,the goods caught the flight and arrived in Philippines this morning. We catchour client's event! Alex says he is satisfied with our products and service. Weare so happy to hear that and look forward to a long-term cooperation withAlex.